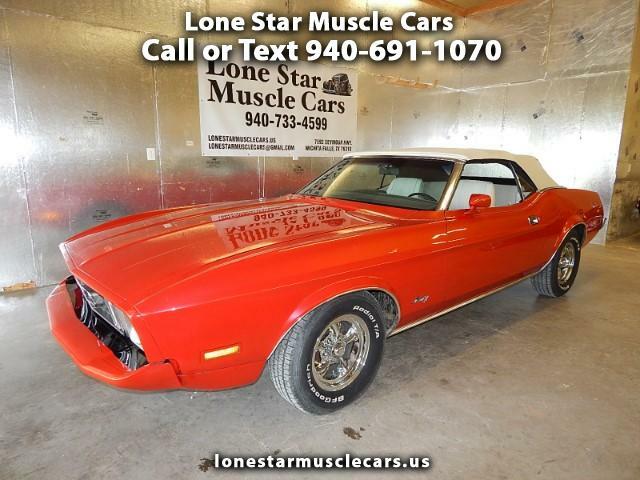 Lone Star Muscle Cars Is Proud to present This one of a kind Ultra Show winning Mustang Convertible. This Car has had hundreds of hours put into the body and paint alone. Starting out as a rust free low mileage California Car and a full restoration you will make the car show competition run for the hills. Powered by the H Code 351 2V Cleveland and the strong automatic you can drive this car anywhere. Power steering and power front disc brakes and A/C This is a Rare Option On A Convertible. On The Inside you will find a Super nice interior done all back original even the hard to find seat upholstery. On The Exterior You Will See One Heck Of A Paint Job Done In A Custom Red Flame Color That changes with the light who says your car has to be one color. If you dont like to be noticed this car is not for you but if you want to stand out from the crowd Here it is call for more info.